Few things in life are better than spending time with family and friends in your backyard on a summer day. This is a popular time of year to enjoy outdoor barbecues. Unfortunately, many pests like ants, flies, mosquitoes and other stinging insects are more prevalent during warm weather. In addition to being a nuisance, these pests may also pose a health risk. While ants and flies contaminate food, mosquitoes are known to carry diseases like malaria, dengue fever and West Nile virus. Bees and wasp stings can cause a life-threatening allergic reaction. To keep your backyard barbecue or picnic as pest-free as possible, consider the following tips. Take the time to inspect your property for anything that could collect rainwater. This includes empty planters, birdbaths and other open containers. These standing pools of water attract mosquitoes and serve as breeding grounds for the dangerous insects. Stinging insects are drawn to scents. You should avoid cooking overly pungent food and wearing perfumes or colognes. Inspect your property for beehives and wasp nests. If you notice any, contact Pest Control Services. Removing bee and wasp colonies will reduce the chance that these stinging insects will attack. Mosquitoes are most active at dawn and dusk. If you are planning an afternoon barbecue, try to serve the meal so that everyone can finish eating before these party crashers descend en masse. Keep all food and beverages in sealed coolers or containers. This will prevent pests from contaminating your food. If possible, serve and store food indoors. Reserve your outdoor spaces for dining and entertaining. Along with circulating and cooling the air, a fan will repel mosquitoes and other flying insects. Wear light-colored clothing. Darker colors trap warmth. Body heat and the chemicals in perspiration attract mosquitoes and other bugs. Because yellow jackets and other stinging insects are attracted to food and drinks, provide guests with clear drinking cups. This will avoid a possible painful situation if one of these insects is hidden inside an aluminum can or another opaque container. Dropped food, soiled napkins and unattended food attract ants and flies. If the spills are near your home, some of these pests may find their way inside and cause an even bigger problem. Remember to keep trash receptacles covered. Bugs are synonymous with outdoor barbecues. 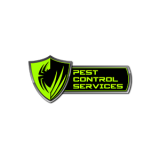 At Pest Control Services, we can identify, treat and remove potential problems. Contact us for a free, no-obligation estimate on how we can help rid your backyard of pests.